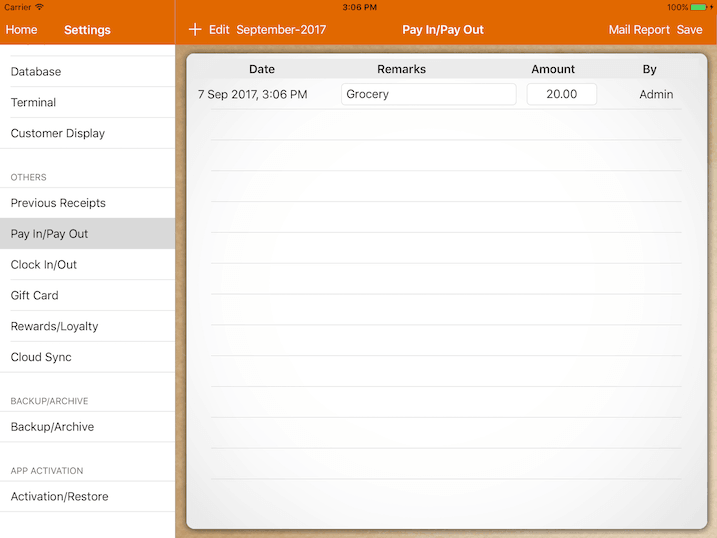 Pay In/Pay Out let you manage your cash that is deposited or removed from the cash drawer. Use negative value if you're cashing out. X reading report will generate the total cash in/out of the day.